A short feature about our GeoDredge systems working on the dredging project in the Dutch river Vecht was recently published in the international Dredging Port and Construction Magazine. 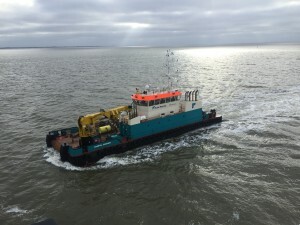 On-site installation of our Viking Tug Management System on the cable laying vessel Stemat Spirit and two anchor handling tugs for the Gemini wind farm. Using the advanced anchoring module in the Viking software the Stemat Spirit was able to create, use and adjust an anchor plan consisting of seven anchors. All carried out in realtime during the delicate cable laying operation. 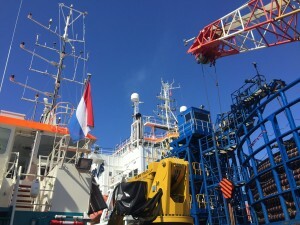 At the same time, and using long range UHF, both anchor handling tugs received all planning information and any changes in the plan in realtime, along with clear visual representation of which anchor to place on which location on the seabed. We had a very successful week at the Ocean Business 2015 in Southampton. 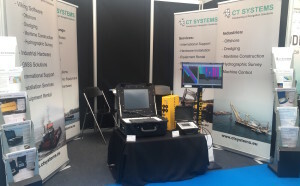 A great opportunity to showcase our Viking software, along with our unique GeoDredge and GeoSonic all-in-one hardware products to a huge international visitor base. Great thanks to all who were able to visit us there! 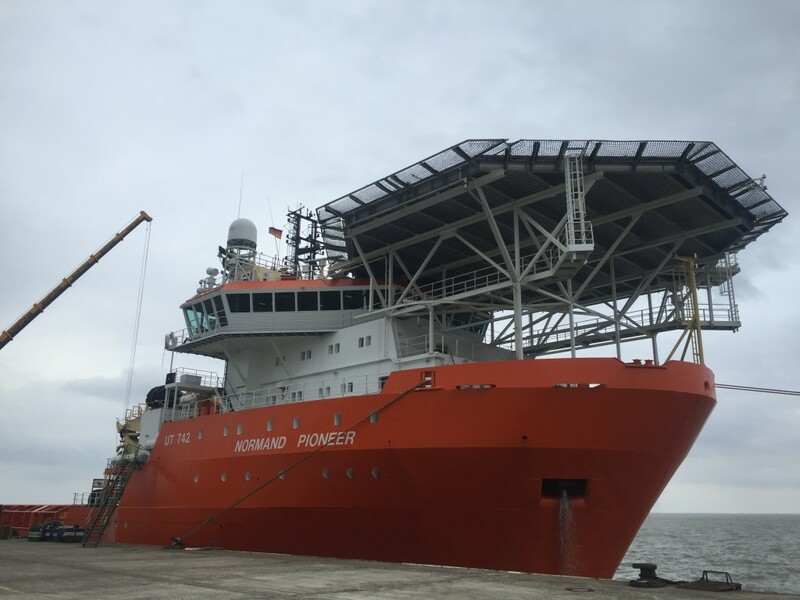 A busy week with many offshore Viking activities for the wind farm industry and a quick mobilisation on the Normand Pioneer. For our client Zijsling & Zonen BV a third excavator is equipped with a GeoDredge system, with the installation and calibration carried out on-site. 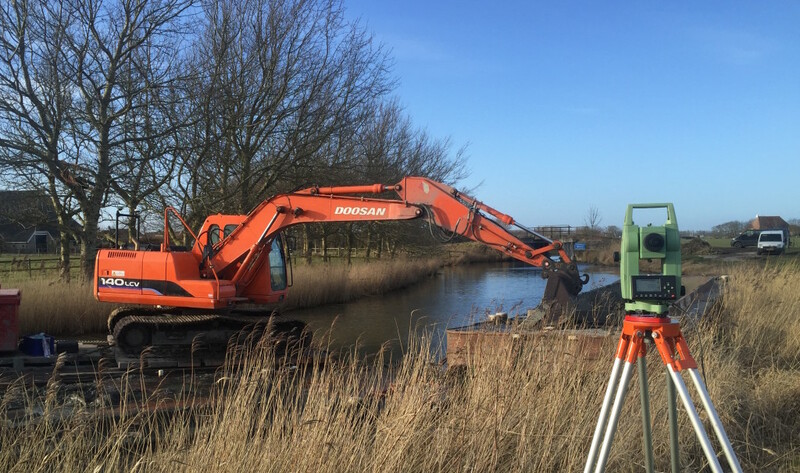 Two of their excavators are now working on a maintenance dredging project in the Frisian waterways with our Viking powered GeoDredge systems. 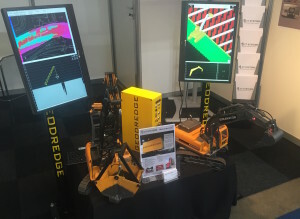 Showcasing our GeoDredge and Viking software at the InfraTech 2015 in Rotterdam this week. Feel very welcome to visit us for a chat and a demonstration of our products. Register here for free registration.